A union born of duty. . . Newly knighted Sir Ewan Gilroy needs a dowry and a wife, in that order. Though the widowed Lady Grace plans to enter a convent, squandering so much lush beauty--and such a fortune--would surely be its own sin. 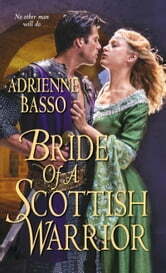 Grace will not be easily wooed, despite her family's urging and Ewan's famed charm. She challenges him as no woman ever dared, proving his equal in spirit and in passions. . . Forged by desire. . .
To atone for her past, Grace vows to never remarry--least of all a brash and reckless warrior. Yet whether defending her honor or stoking desires she hardly knew she possessed, Ewan is a man beyond compare. 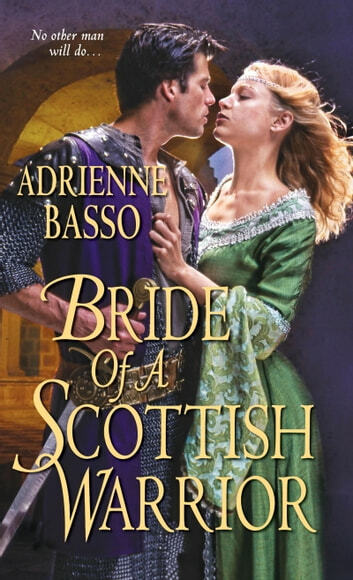 And as their fragile trust is threatened by treachery, Grace must decide whether to reach for the happiness within her grasp--and fight for the love of her bold Highlander. . .